If you are in the middle of refurbishing your kitchen, you might be thinking… what is the best kitchen countertop? In answer to your question, there are three types of kitchen countertops that are often used – Corian, Granite and Quartz. If you are not an expert in materials and hard surfaces, choosing what surface to choose can be difficult. After all, you do not want to spend lots of money to find out that there was a better choice that you could have gone with. In order to work out which of the surface materials is the better choice, we need to make a comparison. 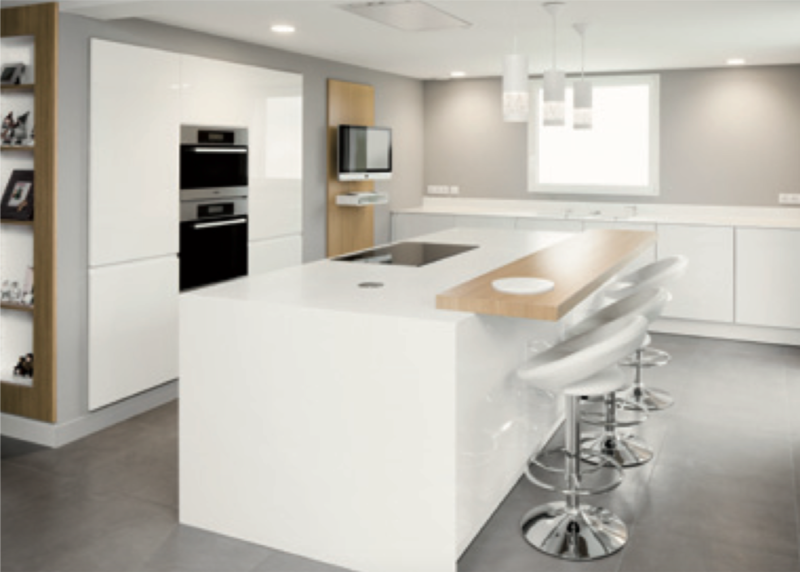 Below we have outlined a few key reasons as to why we believe that Corian is the best choice to go with in regards to kitchen surfaces. Corian surfaces provides a much cleaner and seamless finish compared to Granite. Although Quartz offers a similar finish, Corian is praised on the end result with a glossy, seamless finish. If you are looking at making a vibrant statement, Corian offers a greater scale of colours. Granite and Quartz tend to be more neutral than Corian. So, if you are after bright, playful colours, Corian is your best option. Corian is heat and damage resistant. In the event that it does get scratched, these scratches can be buffed out. Corian is one of the cheapest surface materials making it accessible to a mass audience. Quartz tends to be the most expensive, and therefore simple jobs like kitchen countertops could become quite pricy. At the end of the day, the choice ultimately lies with you. You can only purchase something that you feel is the right choice for you. However, we feel the need to recommend Corian to everyone. Corian is a well-established surface brand that creates brilliant finishes for any small or large project within the home environment. Choose the best kitchen countertop for you, choose Corian.